Unpossible‘s touch controls work great – the MFi gamepad controls are especially wonderful on the SteelSeries Stratus (which has great joysticks). 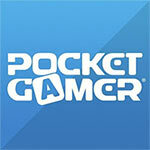 Tilt is also an option, one that the developer prefers. Any way players want to control the game works well. Just from top to bottom, this is a well-constructed game. 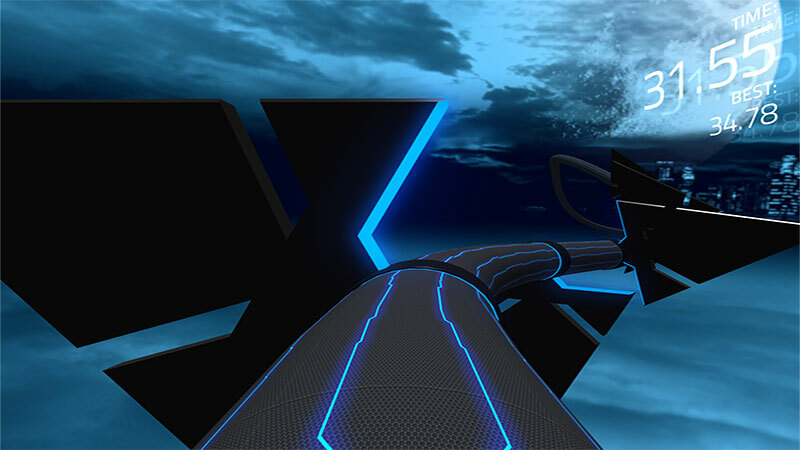 The graphics are high quality, but the black does tend to blend into the blue, making obstacles rather difficult to perceive in advance (that's probably the idea, though). 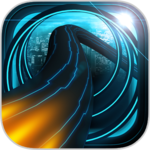 There isn't anything too original here, but it's a polished racer game that can inject a bit of adrenaline into an otherwise dull commute. 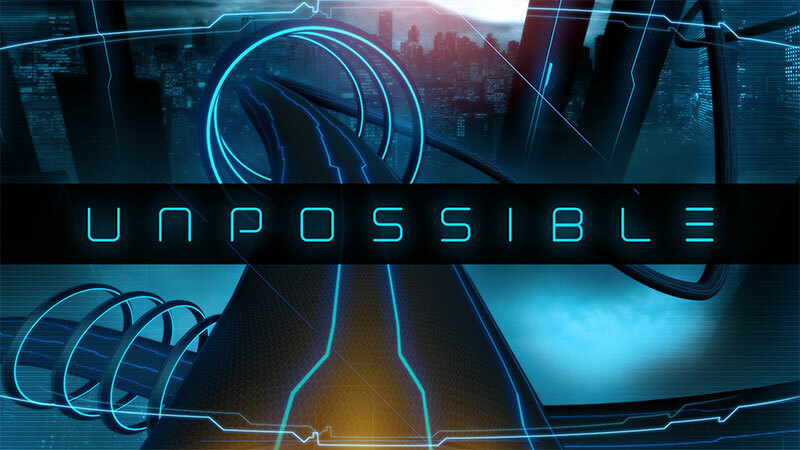 Unpossible will probably be the next game that will get you to try to one-up your friends’ scores and vice versa. 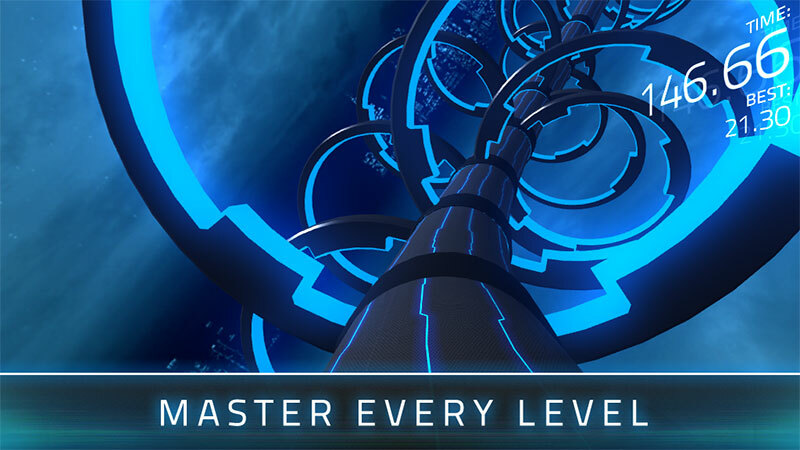 The gameplay is designed to spur you on and strive to beat your previous score. It’s a lot of fun, but just be careful not to bash your head into the wall or snap your device in half when you crash into obstacles, because that is going to happen — like, a lot. This is super-tough arcade gaming, a dark and difficult wedge of almost pure play that wears a little more sparkle on its sleeve than some of its inspirations. 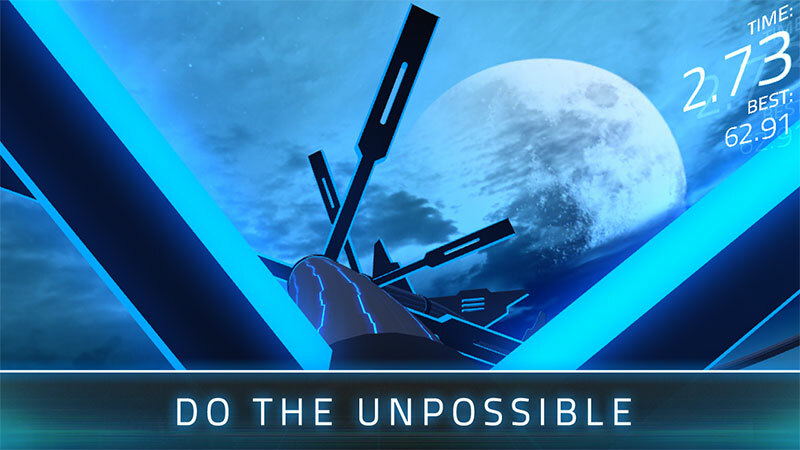 Unpossible might only deliver its gameplay in minute-long thumps, but they're tight enough, and engaging enough, that you'll keep coming back for more. 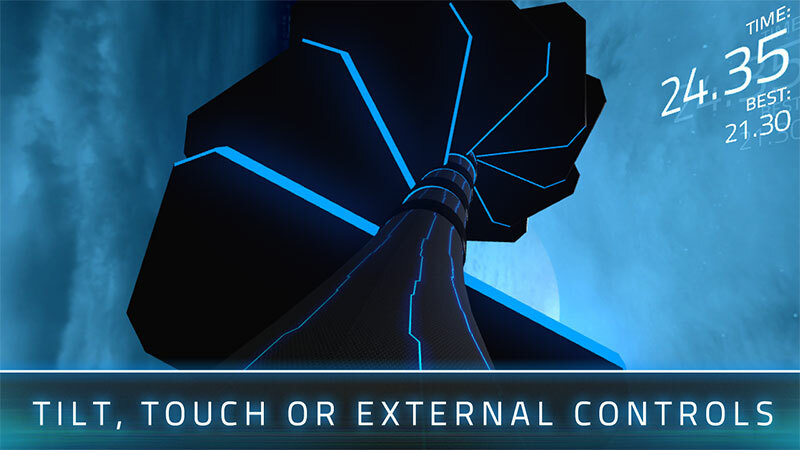 While Unpossible is a handsome beast, and does offer some initial thrills, the disconnect between your unseen avatar and its hazardous surroundings left us cold. Malgré son manque d'originalité, Unpossible respecte les règles du genre et offre un défi de taille aux amateurs de jeux de réflexes. Le jeu est difficile, et on y revient régulièrement pour tenter de faire mieux. On peut cependant reprocher à Unpossible un gros manque de personnalité, notamment au niveau de sa bande-son peu inspirée et aux sonorités datées.